I have a friend with breast cancer, and I want to look up something. The site has hundreds of pages. Type in some search keywords. This website with information on breast cancer, mixes the medical information and the average person’s point-of-view, plus Dr. Halls sense of humor and the Moose to be super serious. This site describes the many common and less common types of breast cancer and other benign and malignant breast diseases. It covers breast cancer screening, staging, and tumor grading. The focus is mostly on diagnosis and laboratory results, but there is also some treatment information and prognosis information, although for the absolutely best, latest, state-of-the-art information on treatment options, it’s always best to directly talk to an oncologist specializing in breast cancer. Am I old enough for a mammogram? Not yet. After age 40, unless you have a family history. Or if you have a lump. 2C- The abnormal mammography, birads, breast MRI. 2E- Axilla imaging, post-op mammograms. Section 3 – Benign Breast conditions, types of non-cancer lumps. 3A- Cysts and a few other benign changes. 3B- Benign hyperplasias, papillomas, adenomas and sclerosing adenosis. 3C- Fibroadenoma, Phyllodes tumor, lipoma and others. Section 4 – Benign Conditions, Atypical hyperplasia and DCIS. 4B- DCIS, ductal and lobular carcinoma in situ. 4D- Cancer developing from atypical and in-situ lesions. 5A- Classifying invasive ductal carcinoma. 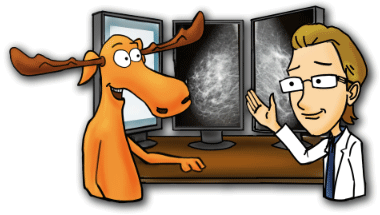 Section 6 – Pathology tests, what they mean. 6B- ER, PR and Her2, and what these immunohistochemistry test mean. 6C- More on ER, PR and Her2. 6D- Triple negative breast cancer. 7A- Breast cancer staging with TNM. 8A- Treatment, the team, the basic drugs. 8B- Treatment, hormones and antibodies. 8C- Treatment, early stage, neo-adjuvant, advanced and metastatic. 8D- Special Treatment situations, triple negative, pregnancy, inflammatory breast cancer. 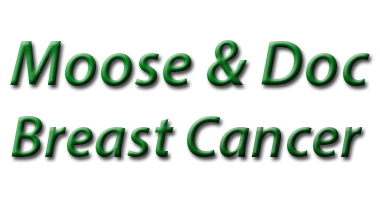 This website breast-cancer.ca began in 2000 to 2003, and had some updates in 2010. In January 2015, the site was re-made, with new style, and refreshed with the latest information available at that time. Thanks, I should know this.